BlackRadioIsBack.com Music: The Paxtons | BlackRadioIsBack.com - Official Blog of the Syndicated FuseBox Radio Broadcast! 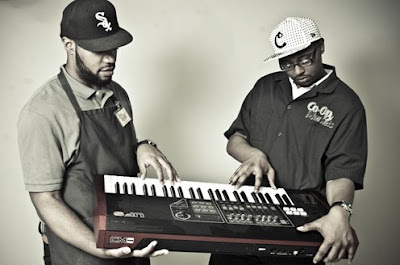 Wanted to share this fantastic free album download from one of the many great groups from the DC Hip-Hop scene, The Paxtons. The Paxton's crew of Chris and Dave originally came together 12 years ago when both members lived on Chicago's Paxton Avenue. After moving to the DMV area in 2008, they dropped their first offical mixtape, "Members Only". They've dropped various singles (including the track “Japanese Denim” with fellow DC producer Judah that was featured on the Mick Boogie helmed mixtape Hype Club). 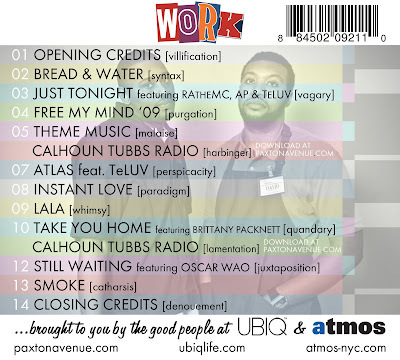 The WORK album is being dropped in a partnership with The Smoking Section Blog, Philadelphia’s premier streetwear boutique, Ubiq, and NYC/Tokyo-based Atmos. Definitely hit their site for more free music, videos, to purchase some product (after all, independent artists need to eat as well, support quality music - cop a hard copy of this CD and others) and some other goodies.